Stay entertained as Olaf the Snowman joins the journey to save the kingdom with these wall decals. 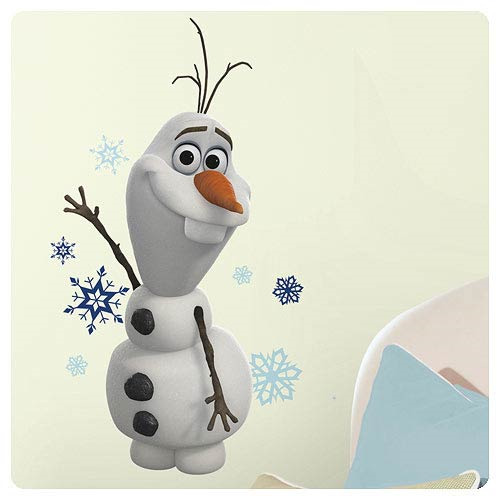 Unlike Olaf, our decals are easy to handle, and won't cause you any awkward moments as they are installed. Just peel each decal from the backing and apply it to any smooth surface. A great pick for any Frozen enthusiast. Measures 22 1/2-inches tall x 9 1/2-inches wide. Ages 3 and up.